How To Buy Products In The US And Get Them Shipped To Your Country? You are here: Home › How-To Guides › How To Buy Products In The US And Get Them Shipped To Your Country? It is not a difficult task to buy your favorite products from US websites and get them shipped to your location. Many international customers have problems when it comes to buying products from US based websites as they may not deliver the goods to other countries. In this situation, the best thing you can do is to visit web-cargo.com and avail their services to get these products to any location of your choice. 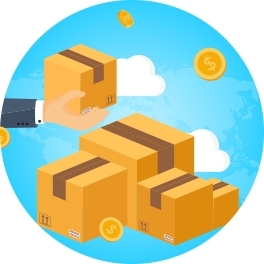 They will help you to even ship the products to the address of your customers and this will help you to operate a virtual company in the US without any hassles. How it works for your business? When you are involved in commercial activities, you can conveniently order these products from the US websites and get a virtual address in the US. This makes it possible for you to order the products online and mention this address for delivery. Once the goods are delivered to this place, the service providers will conveniently ship them to your local address. You can even combine multiple orders and get them shipped at once to your country. It is also possible to ship the goods directly to your customers by using the services of these companies. This will provide you with a US address that can be used to shop for any products from US websites. You will have access to a shipping manager system that will allow you to track your orders and dispatch them directly to your customers. They offer complete flexibility when it comes to choosing the services of cargo operators. Your goods can even be stored in the US for nearly 45 days. This will help you to combine different goods so that you can save money on transportation. The shipping schedule can be customized to suit your individual requirements. You will get access to multiple US mailboxes and a US fax number. The biggest advantage of availing the services of the Web Cargo Americas LLC is that they will handle all the paperwork with regards to the delivery of these products to your country. Many retail customers use such services to buy the latest products from the US and get them delivered in bulk to their countries. This will help them to save money on shipping as the Web Cargo services will allow the customers to package their goods. On the other hand, commercial operators get to benefit as they can show a presence in the US by using such services. They will get a virtual address that will improve their brand image in the market. You will even be able to receive correspondence at the US address and this will help you when you have to interact with your customers with regards to the delivery of these products. The company even offers the assistance of trained agents and you can get in touch with them to discuss your plans for the shipping of your products. The software helps you in many ways and you can easily keep track of all the shipments to your country.